The episode starts off with a nice reunion between Tyrion and Jon Snow. It was great to see the two characters interacting with each other since it hasn’t happened since the first season. There has been so much change and growth between the two characters it’s interesting to see the two reactioning to the changes. It was also good to see the respect between the two characters. Daenerys on the other hand it would be a little more difficult. I respect the fact that Jon Snow did not bend the knee nor did Daenerys back down. While Daenerys was ready for Jon to bend the knee Jon saw the bigger picture that the White Walkers must be stopped. It was a cool moment for Davos telling Daenerys about Jon accomplishments and showing that Jon is no slouch. 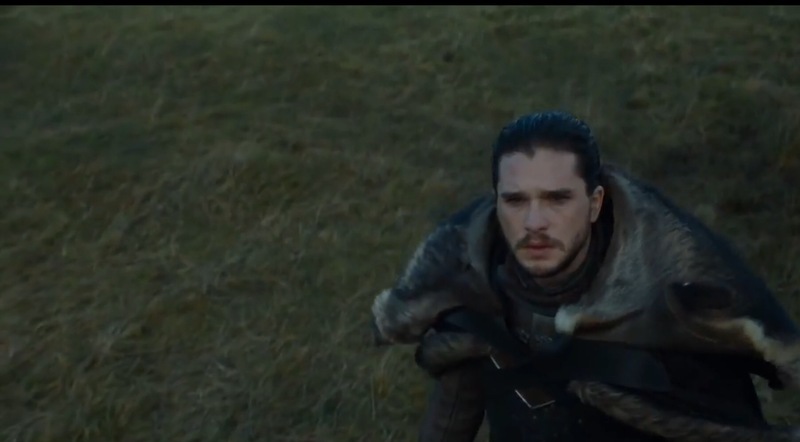 All of the great small moments of the episode lead to the big moment of Daenerys deciding that it would be wise to have Jon Snow on her side. After last week’s ending it was good to see the direct results of the the battle. Theon cowardice was well known as he was rescued. Euron on the other hand returned as a hero as he mocked Jaime and hit on Cersei. But as Euron said he did what Jaime could not by capturing Ellaria Sand and her daughter. While doing this he also handled his problem by taking his niece Yara as a prisoner. Even though it seemed dark it also fair in a strange way that Cersei killed her daughter the same way Myrcella was killed. It’s even more chilling that she has to not only watch it but live with that decision for the rest of her life. It’s also interesting that Cersei is more blatant about her relationship with her brother. She is more confident than she has ever been and maybe more dangerous than she has ever been. 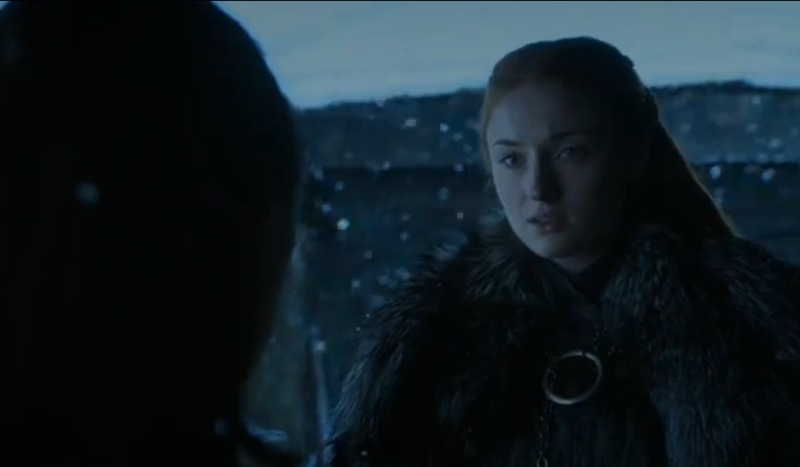 Another good moment in the episode was watching Sansa in charge. It was good seeing her take charge but it was better seeing her reunited with Bran. It great to see all of the Starks finally getting back together. Interestingly enough Sansa immediately wanted Bran to take his place as the King of the North. Bran on the other hand has no plans of that as he is the three eyed Raven and sees the bigger picture. All of these characters are in completely different places than they were in the start of the show. Speaking of people in different places in life, Sam has finally found his calling. He cured Jorah Mormont and now Jorah is on his way to Daenerys. She is gonna need all of the help she can get as the Lannister’s outsmarted them by giving up Casterly Rock to take over House Tyrell. One of the most powerful moments in the episode was Lady Tyrell’s conversation with Jamie. It was one of the best moments in maybe the show’s history as she not only told Jamie that Cersei will be the death of him but after he choose the noble act of giving her poison to a peaceful death, she tells him how it was her who poisoned Joffrey. Such a great moment and a perfect way to end the episode. One thing this season has done so well is stick the landing on the ending of the episodes. 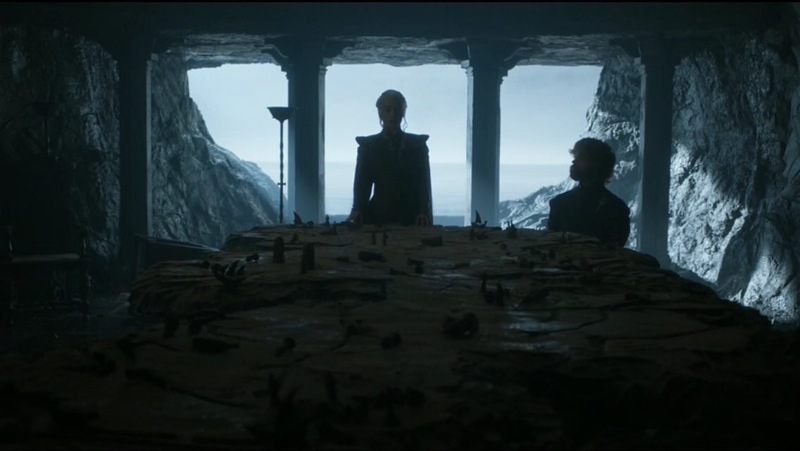 Overall an excellent episode of Thrones and the pieces are starting to align. The episode starts off with a great moment and callback to season one. 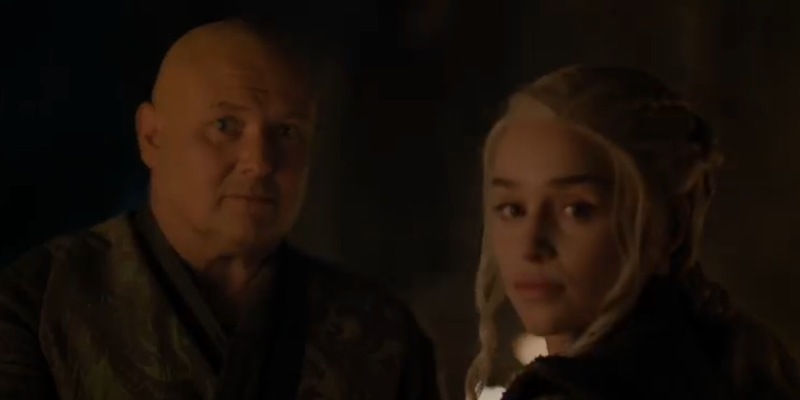 The conversations between Varys and Daenerys was a powerful moment as it came up that during season one they wanted her dead. Varys made a very good point for his reasoning and also proved his loyalty so far. One thing this episode does really well is address many of the issues with these groups working against Cersei working together may have, including the fact that the Queen of Dorne had Tyrion’s niece ( who was innocent) killed. 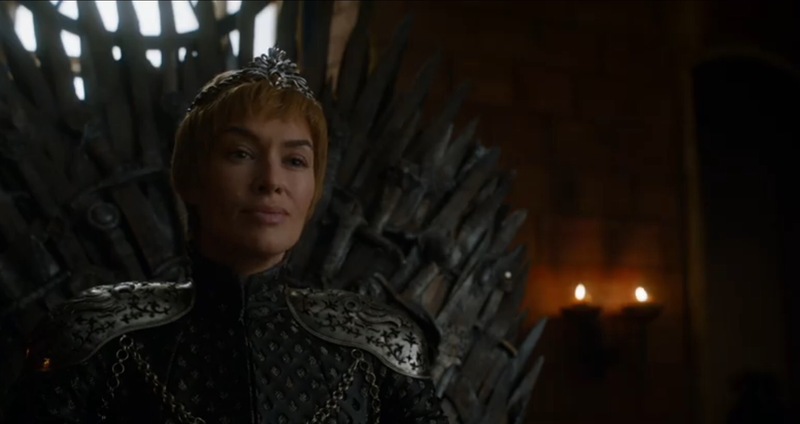 Queen Cersei is making it clear that she is no fan of Daenerys. She gathered her lords together to weave the tale of how awful Daenerys is. 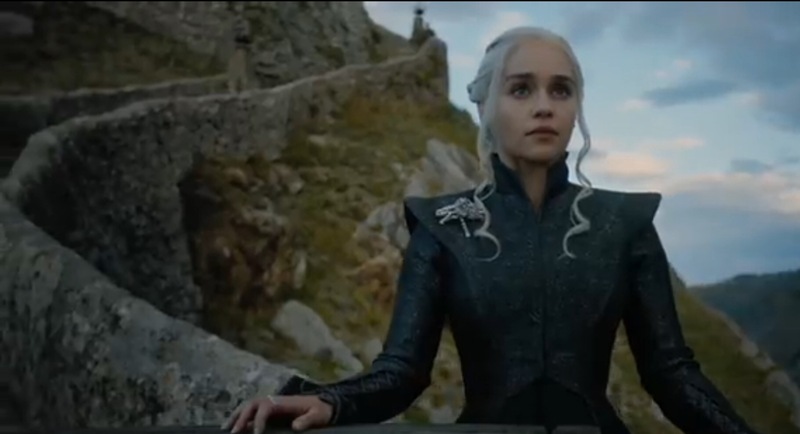 It was a fascinating moment seeing how she took Daenerys moments of triumph freeing slaves and all she accomplished and turned them into villainy. Also let’s talk about the fact that Cersei has something that can kill dragons at her disposal. That’s a big deal and maybe even a look into what’s to come with the dragons. Sam’s journey is interesting as he is trying to find a way to cure Jorah Mormon of his Grayscale. It completed fits Sam’s character wanting to cure the Grayscale. 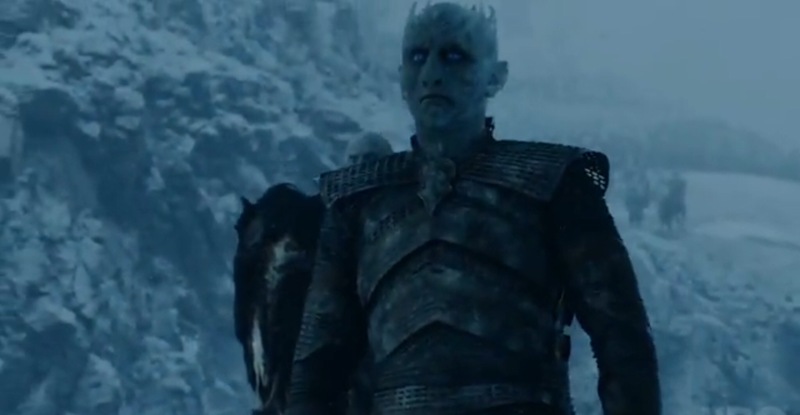 Watching the process of him removing the Grayscale was gross but in perfect Game of Thrones fashion they found the perfect scene to cut to. 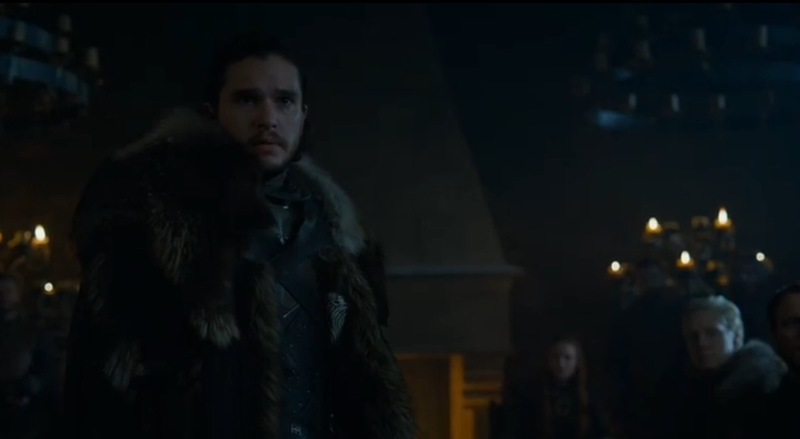 Speaking of the next scene, Arya finding out that Jon was King of the North while causally eating seems fitting. It seems her quest for revenge may have shifted to find her brother. We God a nice surprise as she found Nymeria. Jon may have his own problems as he is trying to convince his people that he may need to seek help from Daenerys and Tyrion. It didn’t help that his sister Sansa was not on his side either. So him leaving her in charge while he is gone seems a little strange. Also on another note why would LittleFinger let his feelings for Sansa be known to Jon Snow. Unless he has some underline reasoning to piss him off it didn’t seem wise. Especially for a character that’s known for being cunning. I hope they eventually reveal why this was done. The final moments of the episode definitely were the best as we see Euron’s “Gift” happen as he hunts down his niece and nephew and destroys there army. Killing two of the daughters of the queen of Dorne while taken the Queen and the other daughter hostage. 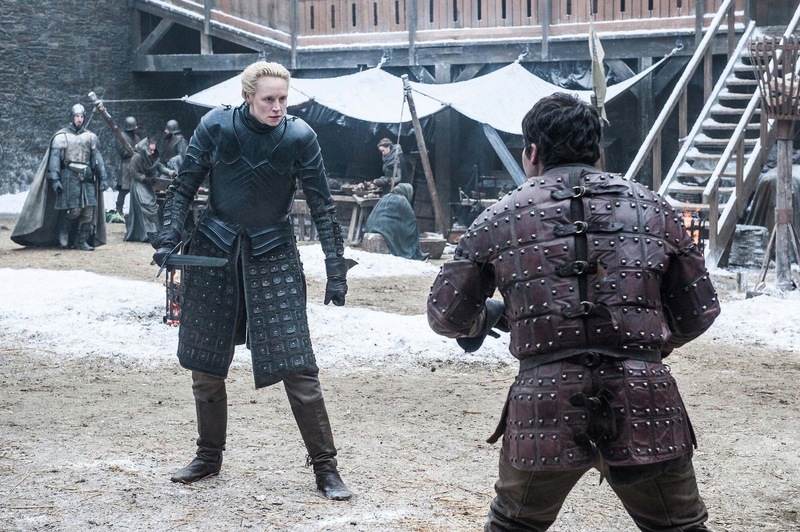 It was a fierce battle that was too much for Theon who instead of trying to save his sister choose to flee. While this maybe a act of cowardice ( also signs that he is clearly not over the reek thing) it actually was wise because he didn’t stand a chance and someone needs to tell Daenerys what happened. Overall great episode with a lot of callbacks to the first season and some good character development.